We always avoid using jargon and acronyms when talking to our clients. There is lots of terminology around digital marketing so this glossary of online marketing terms is designed to act as a reference point and reminder for those commonly used digital marketing terms. Feel free to contact us about further suggestions to add to the list. An ad group contains one or more ads that target a shared set of keywords. You set a bid, or price, to be used when an ad group’s keywords trigger an ad to appear. This is a calculated number used as an overall metric of website visitor engagement. Often used on media or content rich sites it is avg Session Duration multiplied by total number of sessions. It can be useful to compare traffic types of advertising costs as it can be further extended as a metric by dividing All Session Time for a segment of traffic by the cost of getting that traffic. This provides a metric of Minutes per £/$ of engagement with the site. Words to describe an image used on a website. Initially developed so that blind people could have the content of a picture described to them but now also used by search engines to classify images for search results, especially image search results. The words used on a link to another web page or website telling the visitor what the link represents. These are important for SEO as search engines use this text to understand page relevance. Don’t link pages with Click Here unless you are optimizing for the keyword -Click Here-! These are groups of people that you can target based on their interests, as well as their visits to your site. With Audiences, you can target a group of people with similar interests, as well as remarketing groups (showing ads to people who have previously visited your website). The total time of all of the sessions on your website during the period divided by the numbers of Sessions in the period. Gives you a measure of how well engaged your visitors are with your website. Bing Ads is Microsoft’s answer to search engine marketing. Microsoft allows users to advertise through text and graphics. 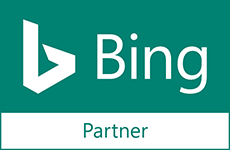 Bing and Yahoo have joined to produce an extensive range of websites to advertise on. The percentage of sessions that end without the User interacting with the site by going to another page or clicking on a tracked event. The user is described as bouncing off the site in these circumstances. Where visitors are coming to good content on a site and reading / absorbing it and then not going onto another page the counting of these sessions as a bounce can be seen as unhelpful. Therefore you can create a time based event trigger for your site and then you will be able to have ‘and adjusted bounce rate’ where people staying on a page for longer than the time defined in the event no longer ‘bounce’ even if they do not go to another page. This is the URL that you want your visitors to see. Essentially it’s picking out the best URL when there are multiple choices available, and presenting this best choice to the search engine, so it can display it to those who visit your site. The percentage of people who on seeing you on the SERPs actually click to go through to your website. Calculated by diving clicks by impressions. For an eCommerce site a Conversion will be a purchase, for a non eCommerce site a Conversion will be a Goal like the completion of an enquiry form. Conversion rate is the number of Conversions divided by the total number of Sessions in the period. Improving a websites overall conversion rate can improve the ROI for all digital marketing methods. However it is important to understand that different types of traffic will typically have differing conversion rates because of the relative ‘quality of the fit’ of the traffic types. Adverts that appear on content websites such as newspapers, blogs, video websites. Display ads can be text, images, rich (HTML5) images and video. Code to create a container element on a webpage to layout and style content. This is a strip of HTML code added to a link to allow (or not) search engine bots to count it as a ranking factor. When you link to a page with a follow tag, it will count as an SEO boost for the page’s ranking. If you use nofollow, it won’t. Nofollow attributes can be useful for paid links if you’re in affiliate marketing or for comments and forums to avoid spam. The websites and mobile apps that carry Google Display advertising. – including specific Google websites such as Google Finance, Gmail, Blogger and YouTube. Although Google rationalised the number of sites that it allowed in its network to eliminate those that it thought were sub standard there are still well over 1 million websites carrying Google display advertising. It is vital to track measures of success and in Google Analytics this is done with Goals. Goal Completions are the number of Goals that have been recorded in a period. These can be broken down to see the numbers for each individual goal. Goals are defined as a target; what your business wants to achieve in terms of conversions. This could be sign-ups, purchases or even a call to your business. Google Ads is one of the biggest online advertising platforms. Advertisers pay to display advertisements, service offerings, product listings, video content via the Google ad network to users on the web. When your ad is served to someone who is searching on a search engine and it appears in his or her results (alongside organic search results). This is counted as 1 impression, but you do not have to pay for each impression you receive on your ads. Also includes key-phrase or keyword phrase – word or words entered into a search engine by a visitor looking for something. When developing a SEO plan it is important to know what keywords you are targeting before starting the optimisation process. Information contained within the coding of a webpage that is not visible to the website visitor but is read by search engines spiders and used within the ranking algorithm. New Users are those Users that have not been to your website before. This is tracked by using a Cookie file. Once a visitor comes to your site Google Analytics puts a Cookie file in their browser so that they can be tracked as a returning user. However if the Cookie file has been cleared from their machine since their last visit they will look like a ‘New User’. The natural results on a search engine results page. These results cannot be paid for, unlike Paid Search Results. These results can be manipulated by SEO, which helps Google to find your website easier, thus it will appear higher in organic results. Total number of page views divided by the total number of sessions within a period. Gives you a measure of how well engaged your visitors are with your website. If pages per session are high but Avg Session Duration low it can indicate problems with your website such as thin content or confusing navigation. The paid search results on a search engine results page are the results that are paid for by an advertiser. These will be appearing based on the position that they receive. The system that allows you to appear in the sponsored results. Gives website owners immediate results and can be useful for testing the conversion rates of different terms once visitors are on your website. Care has to be taken as large amounts of money can be wasted if a PPC campaign is not well set up. The earlier a keyword, phrase or element appears on the page the more important the search engines think that this is. For example in a page meta titles it is better to put your more important keywords first. For page structures navigation DIVs should appear after main content DIVs where possible. Quality score is among a variety of factors that decides how well your advertisement will be ranked in an auction, which will determine its position on the SERPs. Quality score is comprised (in most cases) of your CTR, Ad relevance and Landing page quality, as well as other features. Term used to refer to where you appear within the SERPS for a specific or group of terms. With SEO you are always aiming for first page rankings (positions 1-10) as 85% of searches never go beyond the first of the SERPS. When someone visits your site, but say they don’t convert, you can track this user and use “Remarketing” to serve them relevant ads from you, that will help them to perform a conversion on your website. It is essentially remarketing your ads to the same users (but not too frequently) in an effort to get them to convert on your site. This practice consists of adapting the design of a website to the device used to view it. For example, images will shrink on mobile to fit the screen size. This flexibility avoids having to develop a full new site for mobile and tablet. Those people who have been to your website before as recorded by the presence of a Cookie file. Serving adverts in response to a user’s search query (keywords). Unless specified the SEO work applies to textual search of web pages. However, Google and the other search engines have developed specific search verticals such as video, images, shopping, news, and blogs to aid people getting the results they are looking for. Automated programs that read the code of web pages and websites to gather the base information that the search engine uses to calculate the ranking of a webpage against a specific term. A group of search-related websites where your ads can appear. When you advertise on the Search Network, your ad can show next to search results when someone searches for your products or services using terms related to one of you. Google provides search functionality & adverts to search engines that are specifically Google branded. The process of making a website appear in the natural or organic search engine results. These results being generated by a complex algorithm known only to the search engines, which takes into account many factors. The results pages of Google, Bing etc once a term has been entered. Google Analytics defines this as a visit to a website. It can consist of a single page, or multiple page views. A user can have multiple Sessions (visits to your site) within a period so you Sessions number will always be higher than your Users number. The entries on the SERPs that are driven from PPC advertising on the search engines. Appearance is these results and your relative position is driven by how much you are prepared to pay for each visitor click. Part of the meta-data that is visible to the visitor of a web page at the top of the browser program window. Now seen as the most important element of meta data to search engines. These are unnatural backlinks that can harm your ranking as search engines consider them as spam. You can even get penalised if you don’t remove them. These links come from spam sites, link networks or sites with a virus or malware. A user is an individual visitor to your website. Google Analytics identifies a user with a Cookie file that it puts on their web-browser, however if the individual uses a different device or a different web browser then Google can see this as a different ‘User’ unless they are logged in. Google is improving its tracking of users across devices to minimise this difference. A User can have multiple Sessions associated with it on your website in a period.